Governor of Ekiti State, Ayodele Fayose has reacted to call by elder statesman and former Chief of Army Staff, Lt. General TY Danjuma (rtd), to the people of Nigeria to defend themselves against rampaging Fulani herdsmen. General TY Danjuma had yesterday in Taraba State called on people of the state and Nigerians in general take up arms and defend themselves in the face of the endless killings. 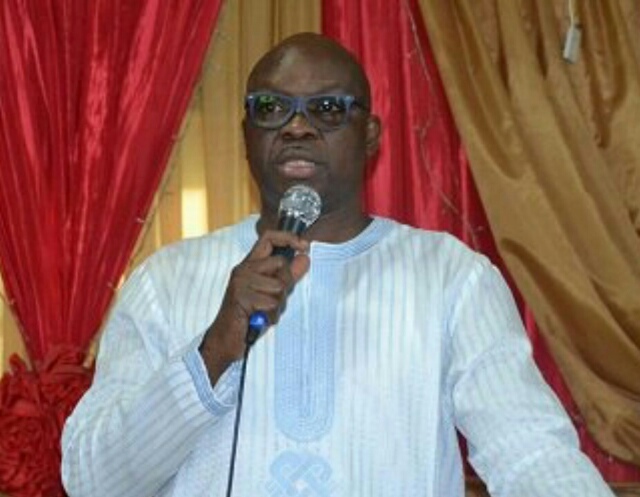 The Ekiti governor in support of Danjuma’s statement said it was time Buhari listened to warning concerning herdsmen. Fayose on his twitter page wrote “General T. Y. Danjuma just said what we have said several times. There is complicity from the highest place in this country concerning these killings by herdsmen. “I hope they won’t now remember that Gen. Danjuma keeps “looted” billions of dollars in his borehole. “#IstandWithDanjuma. Gen. Danjuma’s position is not different from what I have said in the past. For him to have broken his silence at this time should be enough warning to @MBuhari that it is time to go back to Daura.